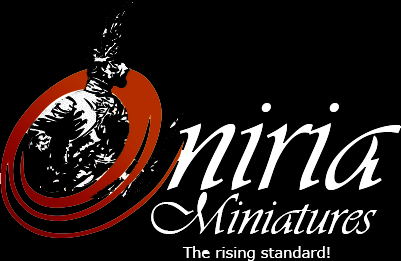 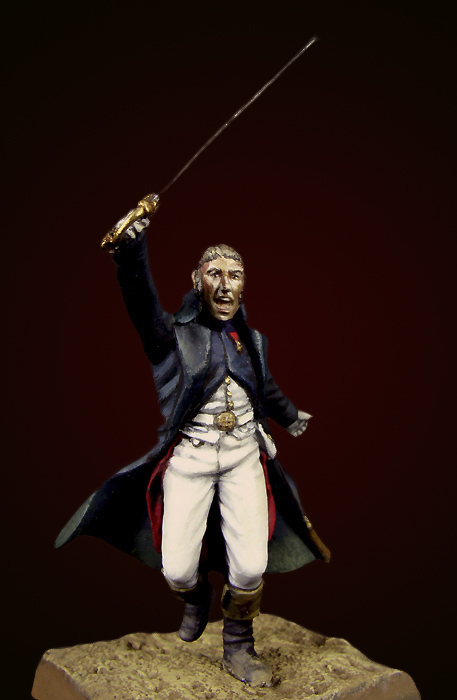 ONIRIA MINIATURES: The old guard at Plancenoit. 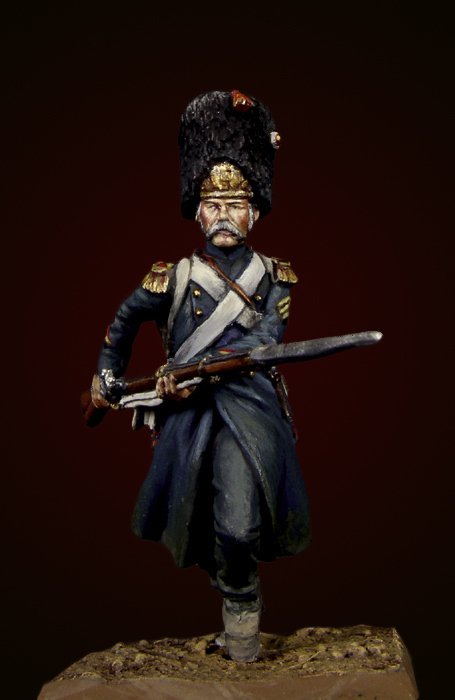 The old guard at Plancenoit. 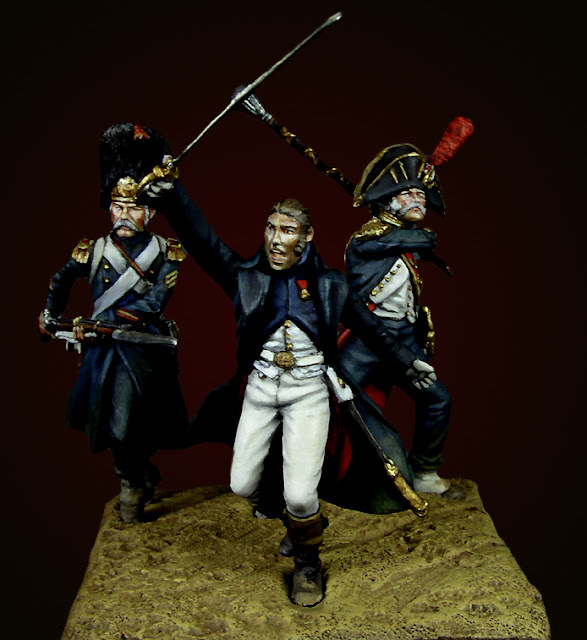 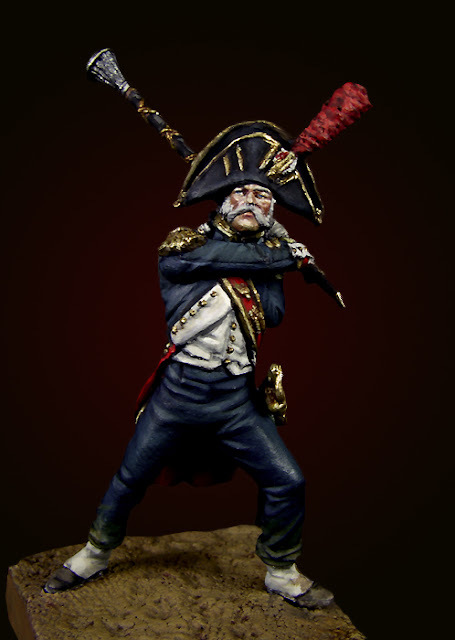 These extraordinary 28mm figures represent three characters of the Old guard grenadiers Plancenoit sweep up. As you may see the clubbing Drum Major Stubert figure is quite impressive and unique in this (and maybe other ) scales. We have really made a big effort to set the price of this three figure set at 12€. 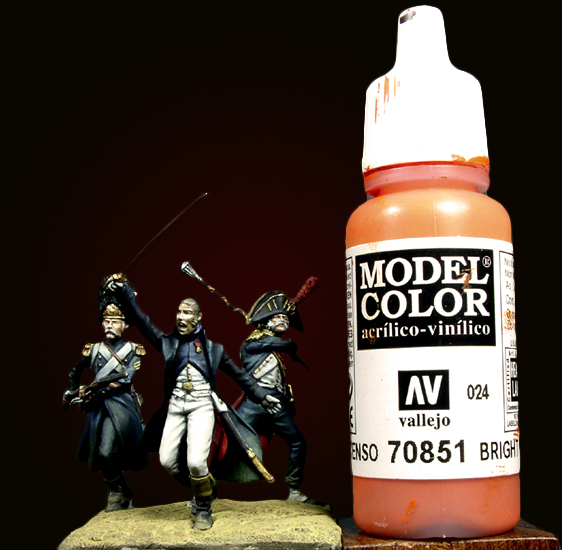 Hemos hecho un gran esfuerzo para poder ofrecer este juego de tres figuras a 12€. 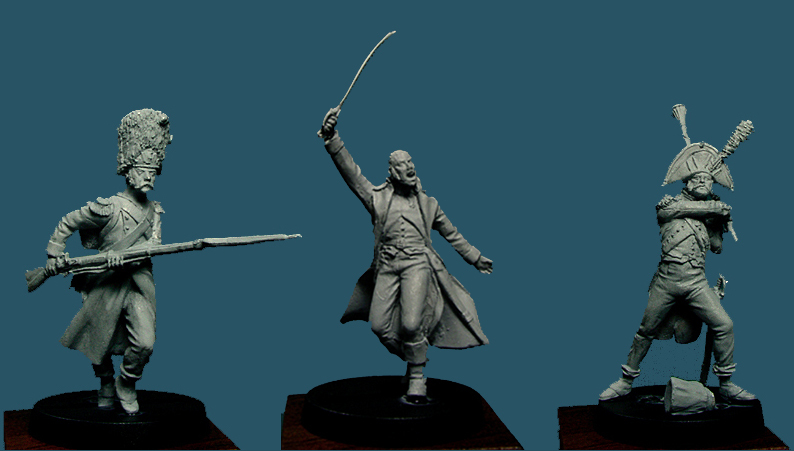 Amazing poses and faces, very very nice minis, I do like them!